Till a few days ago, Rami Adham was an internet celebrity. He claimed to have made 28 trips to the war-torn Syria with a simple but beautiful aim of gifting toys to children. He was the aid worker who risked his life to deliver teddy bears and Barbies to orphaned children. Today, Adham stands accused of misappropriating donated money, faking his stories and having links with Syria’s jihadist groups. What is Rami’s version of this toy story? 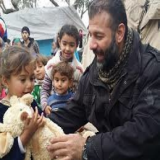 Rami Adham, a 44-year-old father of six, is a Finnish-Syrian who started a voluntary mission to bring food, medicine, water and toys for people affected by the Syrian Civil War, especially the children. 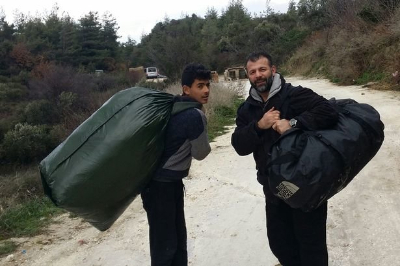 Rami immigrated to Finland in 1988 and he now runs an aid agency called Suomi Syria. Adham, who is originally from Aleppo, has been at this mission for five years, during which he travelled to Syria's conflict zones at least 28 times. 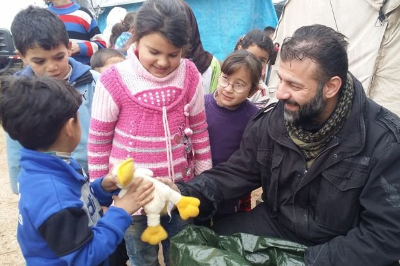 He makes these journeys to bring smiles and a little health to Syrian children. "My voluntary mission started around 5 years ago when I dedicated my life to help Syrian kids in any way I can," Adham writes. "I started by using all my savings to buy and deliver food, medicine, water and, of course, thousands of toys to displaced Syrian kids." Even when Syria's borders were officially closed off, Adham did not quit.He started travelling to Aleppo through different (riskier) routes, carrying all the toys he could. Before his first trip, his three-year-old daughter suggested taking toys too. A report in The Telegraph says Adham brought 25 Teddy bears and 36 Barbie dolls on his first trip. As he began distributing among children, he realised something that moved him. "We'd brought food, but when we started giving away the toys, it created a huge fuss," he told the daily. "Kids were coming from all over. I realised they weren't thinking about food, they just wanted a toy." That realisation turned him into a full-time toy smuggler, moving toys from Finland to Syria through Turkey. Rami Adham knows exactly what brings the biggest smiles to the faces of these unfortunate children. For the girls, it is Barbie dolls. The boys love footballs, cars and teddy bears. He says the feeling of handing out toys to children living through a war that is older than many of them is "indescribable". "The smile they give you back, the gratitude… you help them forget that they have lost their homes, their schools, their toys." It is the children's response that now keeps him going back. "That is this feeling that nourishes me, that charges my batteries," he says. "These little heroes that represent Syria's future are to me extremely valuable to preserve, to give them a moment out of the fear and instability," he feels. With his 28 visits to Syria from Helsinki in the past four years, he has honed the logistics of his perilous operation. 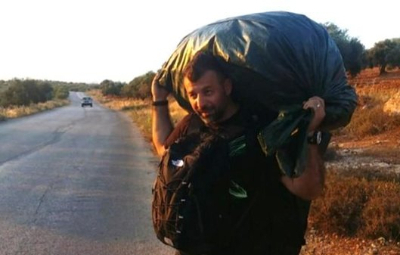 After the flight from Finland to Turkey, he carries up to 70kg of toys on foot through the mountainous border region to cross into Syria, as the official border is closed to most traffic. Sometimes it takes 16 hours - other times he manages to arrange a shorter route. Why have doubts been cast over his story? Rami Adham seemed too good to be true. The internet saluted the man who would risk his life many times over just to make little children smile. His story went viral. Donations started pouring in to enable him to buy more toys. With fame came more scrutiny. And then came the allegations from Finland, his resident country, that his story was not true - at least not completely true. Finnish police have now launched a preliminary investigation into Adham’s use of donated money. Finnish media have published claims he withheld money, had links with jihadists, and faked an injury. 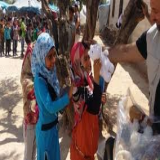 Newspaper Helsingin Sanomat reported that the organisation he works with to support orphans in Syria, the Alkefah Institute, said that donors had given €35 per orphan, but they had only received €9-€20 per child. The newspaper also alleged that Adham has "tight links" to jihadist groups, particularly raising concerns about a photo posted on Facebook of him with the hard-line Sunni preacher Abdullah al-Mohaisany. This Saudi jihadi cleric has had close contacts with the so-called Islamic State and Jabhat al-Nusra, the very terror groups who are responsible for many children being orphaned. Even worse, Helsingin Sanomat also reported on a series of Whatsapp messages between Adham and a photographer he was working with in Syria, which suggest that Adham faked being injured in a bombing in January 2016 as a publicity stunt to gain sympathy. When did Adham counter these allegations? In an interview with the BBC, Rami Adham did not exactly disprove the allegations; he either played them down or showed them as ‘things you have to do when you are in a war zone’. He told that the money - minus expenses - covered education and health services for the orphans and a monthly food basket. "We are providing a full package service, we're not giving all the money to the orphans." He admitted that he received over €50,000 in excess of his target after extensive international media coverage of his work. He said he stopped accepting donations recently, because his small charity does not have the capacity to accept more funds. He explained the excess money donated to his NGO - a total of €81,000 - would be used to build a school in the countryside around Aleppo, as the siege around the city has prevented him from helping people inside. His reply was more on the lines of you got to do what you got to do. "This is something you do when you go to a war zone. In order for me to go to Syria and especially Aleppo, I have to go through many groups." He admitted that he “may have exaggerated” the extent of his injury. He also said bluntly that doing so was necessary to get the attention of the media and the Finnish people. He did get the attention. 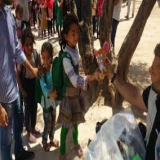 The story of a man who was grievously injured during the Syria war daring to go back to the same place to distribute toys appealed to the emotions of not just the Finnish people, but of people around the world. "It did occur, but I might have exaggerated it a little bit - why, because I would like the Finnish media to pay attention more to the mass killing of my own people," he said. He says he has been working in full cooperation with Finnish police and intelligence organisations:"They are fully aware of what exactly I am doing in Syria, and who exactly I move around with." 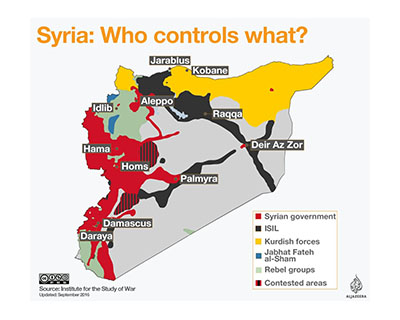 Where is international aid failing the Syrian people? Even if Rami’s story is true, there is little that toys for little children can achieve in a city that is crumbling by the day. Currently, more than 2 million people in Aleppo are not receiving the humanitarian assistance that could save their lives. The last aid delivery to the embattled city happened more than a month ago. Russian President Vladimir Putin, who is supporting the military campaign of the ruling government of Bashar al-Assad, has now offered a new humanitarian pause in Aleppo, urging opposition fighters to use it to leave the besieged eastern districts. Aid groups stand poised to deliver, but their access to the city — already limited by the general circumstances of war — is impeded by airstrikes, fighting and even chemical weapon attacks. The roads they would normally use for transporting supplies have been heavily damaged. Medical facilities have been destroyed by bombs, the electrical grid is failing, and the water supply has become seriously unsafe. Sick and injured civilians are unable to leave the city to receive care elsewhere. Aleppo needs the United Nations and the International Red Cross more than it needs Rami Adham. Children survivors and victims’ in Syria have been named the ‘faces of war.’ So young and innocent, yet, they endure cruelty brought by vicious and inhumane acts of extremists. Even if they manage to survive, they have to live through the trauma of seeing their parents get tortured to death in front of their very own eyes. The war is separating children from their families, traumatising children, depriving a generation of Syrians of education, and driving thousands of minors into dangerous and poorly paid jobs. Tens of thousands of children have been left to survive alone as refugees, after being orphaned or separated from their parents in the Syrian conflict. 3.1 million children have been put at risk due to the unrelenting violence that continues to rage throughout Syria. These children are completely reliant on the compassion and generosity of people like Adham (assuming that even a part of his story is true); people who are willing make a sacrifice for their sake. But generous people alone cannot save these children. The world has to act now to save an entire generation of Syria from elimination. How did Rami fund his charity work? On his first trip — alongside food and $5,500 in cash from his savings — Adham took a plastic grocery store bag full of Barbies and a suitcase of stuffed toys, all donated by his six children. Rami helps provide food and other basic supplies through a Finnish-Syrian Association, which he has founded to gather donations. He is also trying to build schools in refugee camps. Adham started Suomi Syria, a charity that offers food and assistance to the people still living in the country ripped apart by war. He founded his organization in 2012 after feeling “like he could no longer remain idle while his people were suffering”. The charity's Facebook page shows photos of Adham and others grilling hundreds of kebabs that they package and distribute to people who line up for food. 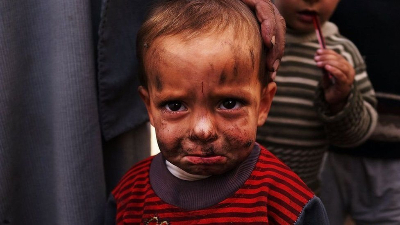 Adham has started a page on GoFundMe where he is requesting people to pledge any financial support they can for these children, whose lives remain at perpetual risk with airstrikes bombing their cities. 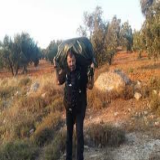 "This money I am raising will go to building schools inside Syria close to Turkish borders (where it is safe from constant bombing)," Adham writes on his GoFundMe page. "So I pledge to all of you humans out there, all around the world, to help me to help the ones in desperately in need." People responded in huge numbers after Rami’s story went viral, so much so that the money he collected has now become a source of investigation. Rami provided a heart-warming story to be consumed by people like us who sit cosily in our rooms far away from the children who are being robbed of their most precious years by a never-ending-war. The reality is cold and dark. 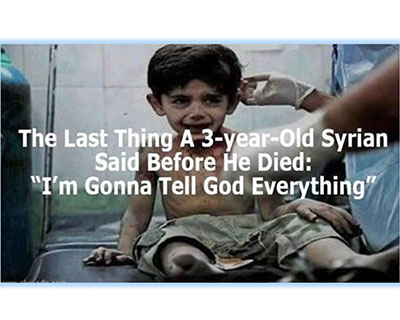 The children of Syria need toys. But they also need to live, study and play in peace.